Boeing has committed to invest an additional $300 million in employee-related and charitable initiatives following the passage of a tax reform bill by Congress. Chicago-based Boeing said Thursday it will allocate $100 million to charity work in support of education, communities, veterans and military personnel. The aerospace and defense company also plans to spend $100 million on employee training, education and other workforce development activities as well as another $100 million on workplace infrastructure upgrades. 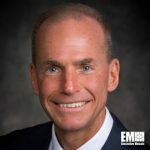 Dennis Muilenburg, chairman, president and CEO of Boeing, said the company lauds Congress’ approval of the new tax law and that the new legislation will boost Boeing’s capacity to compete globally. The new tax bill, which awaits President Donald Trump’s signature, would reduce corporate tax rate from 35 percent to 21 percent.